The engagement ring is the symbol of love. Engagement rings are a symbol of love, devotion and commitment. These rings come in a wide range of style options and designs. While there are some differences in modern engagement rings from the ones of previous generations, modern rings often have roots in previous designs. The rings of the 1980s were beautiful and inspire some of the rings found on the market today. The early 1980s engagement ring designs were reminiscent of the 1970s cluster rings, which grouped diamonds or other gems. The design of this type of engagement ring did change during the 1980s, gradually becoming more simple. The later 1980s saw the reemergence of the large solitaire stone, which went back to early engagement ring designs. The difference in the later look was that the single, large stone was often surrounded by smaller stones. The design gradually became less dramatic and more simplistic throughout the late 1980s. The favored setting of the 1980s was bezel, which wrapped the setting with gold, rather than using prongs to hold the stone in place. The 1980s also was a time when stones other than diamonds were sometimes given as an engagement ring. Perhaps the most famous example was Princess Diana’s blue sapphire ring, the same ring that Prince William gave to Kate Middleton for their engagement in 2010. 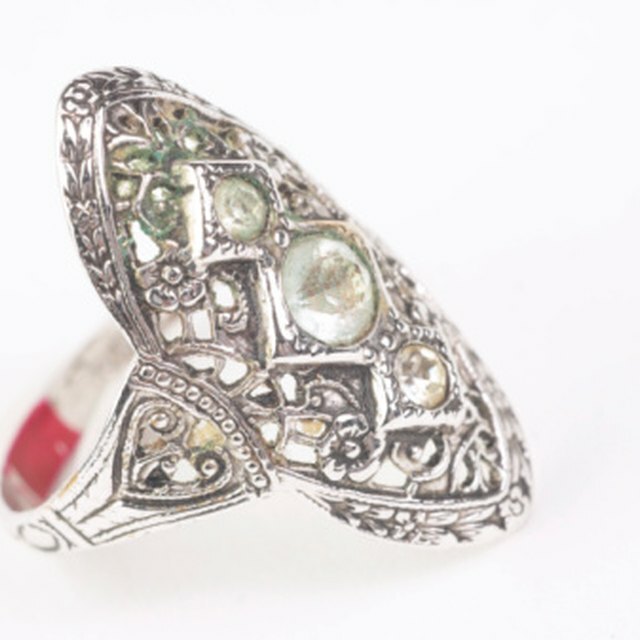 This ring inspired other couples in the 1980s to use other stones than diamonds for engagement rings. Common engagement ring materials for the 1980s were the classic diamonds along with a gold band. Yellow gold was one of the options, but some engagement rings during this decade featured platinum instead.